Villa Sorono Wines have been created and handcrafted for your enjoyment. The wines are fresh and fruit forward. Each of the varieties are grown and produced from the Delle Venezie region of Italy. A short distance from Venice. The climate is ideal for growing Pinot Grigio and Pinot Noir grapes. The wine making techniques are state of the art. The end result are great tasting wines. 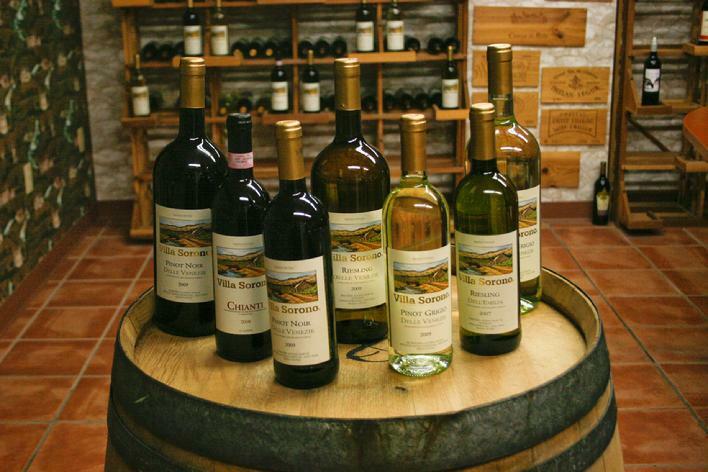 Come and enjoy the wines of Villa Sorono! Cantina Levorato S.R.L. was founded in 1928 in the well-known area of Riviera del Brenta, between two famous towns: Padua and Venice. At first, it was a wine-pressing cellar. Later its productive structure was modified and turned its attention to foreign markets that now have a paramount place. Thanks to its high qualified staff and advanced level technologies, Cantina Levorato S.R.L. made a good name for itself, giving its customers high quality wines. For tech sheets, visit our Point of Sale section. Click here to see our Villa Sorono commercial.